Melt the butter, the golden syrup and chocolate over a low heat. When it’s all melted, take off the heat and add the crushed digestive biscuits and crushed Maltesers. Add the mini marshmallows at the last minute. Pour into a square, lined baking tin. Push in a few loose Maltesers and top with hundreds and thousands! Chill in the fridge then cut up into small squares. 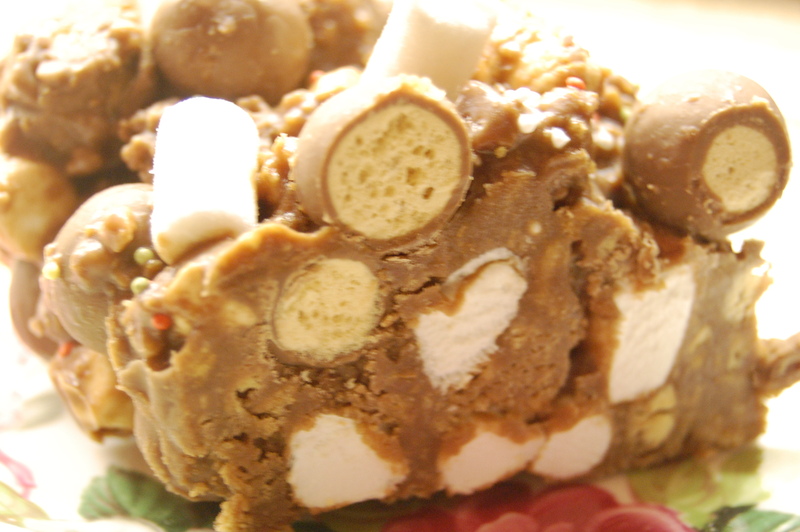 You can use white chocolate instead of milk chocolate… you can get white chocolate Maltesers and it works SO well! Adding some peppermint essence gives it a little something extra too…!